Porcini Mushrooms Reduction with Balsamic Vinegar of Modena Pgi is ideal for pasta, on veal or escalopes, filet mignon, chicken, fish, omelettes and grilled vegetables. 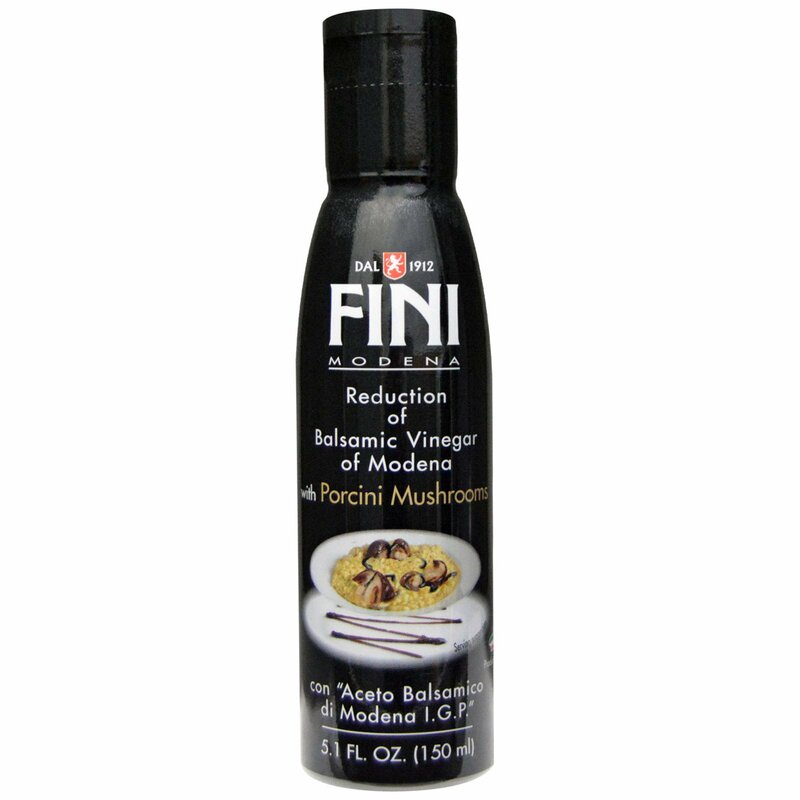 Use it with fantasy whenever a "parcini mushrooms" aroma touch is needed on all your dishes, keeping the flavor of Balsamic Vinegar of Modena. Balsamic vinegar of modena 60% ('aceto balsamico di modena i.g.p. :" wine vinegar, concentrted grape must food starch, porcini mushrooms1% (boletus spp), flavour, salt. Contains naturally occurring sulfites. *Percent Daily Values (DV) are based on a 2,000 diet.